Risk management practices are progressing, but there is still room for significant improvement. That’s according to the eighth annual study by the AICPA and NC State’s ERM initiative. The study, titled “2017: The State of Risk Oversight – An Overview of Enterprise Risk Management Practices (8th Edition),” contains survey results from 432 business executives across large and small public and private companies, financial institutions, and not-for-profits. Risks are increasing, but risk management practices are not keeping up, concluded the AICPA-NC State study. Most participants believe the risks they face are complex and numerous, with about 70 percent of respondents saying the volume and complexity of risks have ‘mostly’ or ‘extensively’ increased over the past five years. Risk management has not kept up, in terms of the extent of adoption of enterprise risk management, even among public companies and financial institutions. Over half the organizations surveyed indicated their enterprise risk management systems are not mature, complete or robust. This could be due to a failure to aggregate risks at the enterprise level, a failure to integrate with strategic planning, or other reasons. On the plus side, however, there has been an increased presence of management-level risk committees, currently 58 percent of organizations surveyed, up from 45 percent a year ago. Survey respondents also reported an increase in the designation of individuals serving as Chief Risk Officer or equivalent roles. Interestingly, there is a higher incidence of audit committees taking the lead on behalf of boards of directors for risk oversight, vs. risk committees or the executive committee of the full board; this held true for all segments of the study population. The AICPA-NC State team also provided a set of high-level “key characteristics” of ERM: a formal, enterprise-wide process, led by the organization’s leaders, which addresses risks to the organization’s overall business model in a portfolio manner, where interactions among risks are considered. How does ‘risk management’ differ from ‘ERM’? 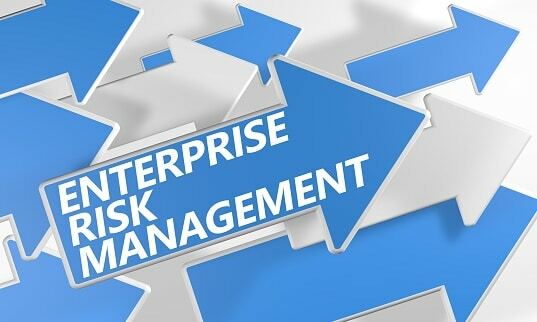 “As you think about what ERM is relative to what companies are doing in terms of risk management, it’s this idea of a formalized process that is really trying to get an enterprise-wide, top-level, portfolio-level view of what are the most important risks to the strategies of the business, and aggregating them together in a formal process,” said Beasley. The fact that less than half the survey respondents report mature or robust ERM systems, could mean trouble in the event of macroeconomic or microeconomic shocks. In today’s world, it’s hard to imagine not elevating risk management, said Beasley, who questions “how, at the board of director level or C-suite level, you don’t invest in resources” to effect a robust ERM system. With the economic downturn not that far behind us, one may question whether management and boards are conducting sufficient due diligence in considering the costs and benefits relating to ERM. Read about COSO’s current project to update its 2004 ERM framework.